Can’t have enough of the match-3 games? Two Dots not cutting it for you anymore? 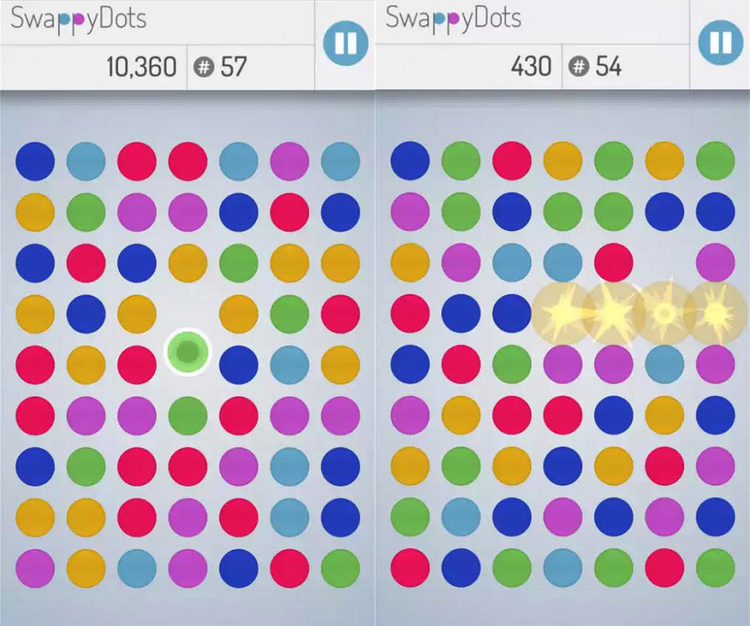 Well, SwappyDots might just be the one for you, coming from developers code2game. This game has landed on the Google Play Store and can be downloaded for free. It comes with all the bells and whistles of a puzzle game, but unlike modern match-3 games, this one has a gap in the middle of the screen where the user can slide in a color to finish a row of matching colors. The game has two game modes called Time and Step with more game modes set to be added soon. Given that it’s a free download, trying out the game shouldn’t hurt. There appear to be no issues with it as of now, so make sure you head over to the link below to download SwappyDots. Liking the game already? Feel free to share your feedback in the comments section below.